With the spin-off of Fantastic Beasts and Where To Find Them film franchise, and Harry Potter and the Cursed Child play, a powerful wizard has cast an extension charm on the Harry Potter universe. Now, a group of fans known as Tryangle Films has created their own prequel about the Dark Lord. 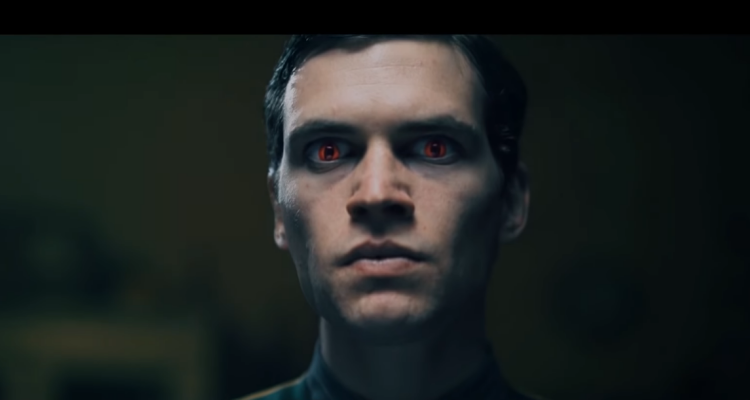 Set to release on YouTube, Voldemort: Origins of the Heir will delve into what we know of Tom Riddle's history from J.K. Rowling's book series and create their own unique backstory. What are the odds the movie will feature origins of the Death Eaters or what happened to Voldemort's nose? 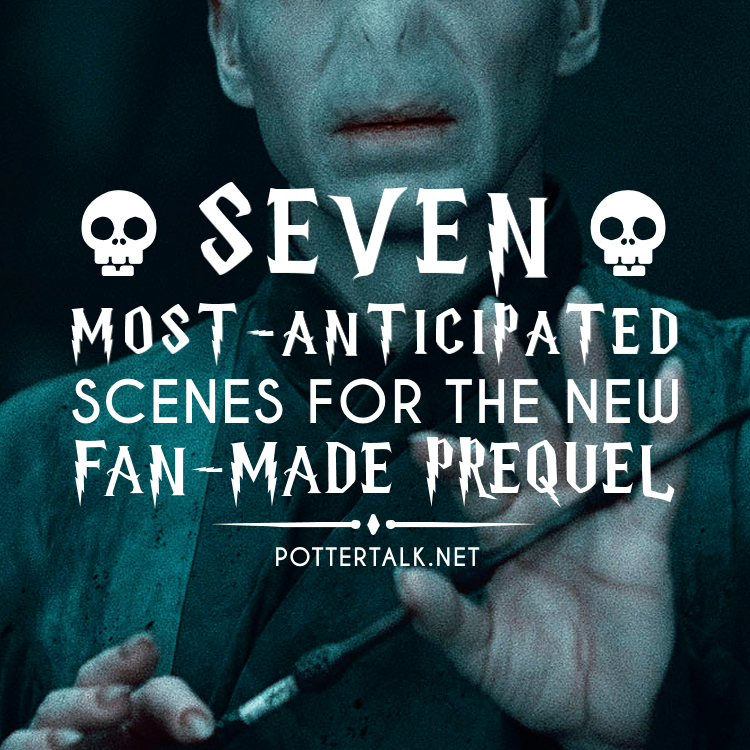 Here are seven most-anticipated scenes I'd like to see in the Voldemort prequel. What scenes are looking forward to seeing unfold? Feel free to share in the comments below! Be sure to catch the fanmade film on YouTube! 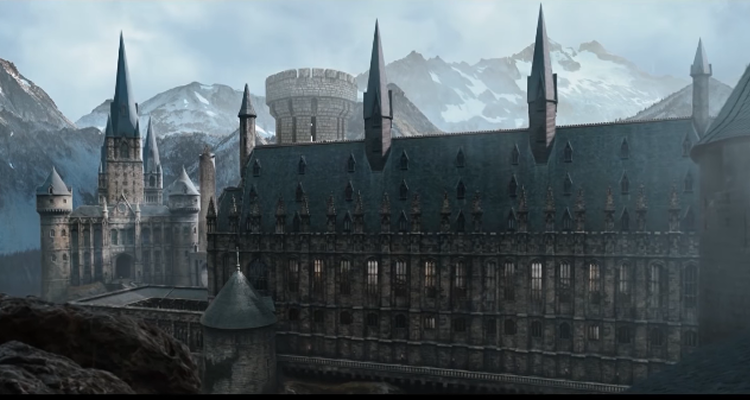 Similar to Harry Potter, Hogwarts was like a home to Tom Riddle. Instead of respecting its majesty and history, Riddle wanted to use it for his own gain, hunting for artifacts from the Founders to begin his quest for immortality. Though his meetings with Professor Slughorn was touched on in Harry Potter and the Half-Blood Princ, Riddle possessed enough disarming charisma to become a Prefect, Head Boy, and receive an Award for Special Services. It'd be fascinating to get a glimpse at young Riddle during his last year of studies. The staff at Hogwarts, including Dumbledore, figured that Riddle's focus and determination would make him primed for greatness like working at the Ministry of Magic. Near his departure from Hogwarts like the rest of his class, he pressed to become a teacher instead, wanting to pass down the magical boundaries he had pushed to other students. 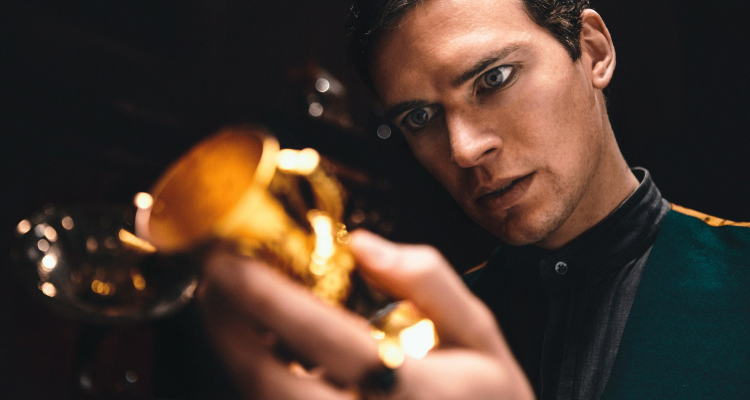 But when he was denied, Riddle became an employee at Borgin and Burkes, sent out to convince witches and wizards to sell their prized possessions. This is a major aspect of his hunt for Horcruxes, so we must see at least one scene that ties him to his Knockturn Alley roots. As part of their own original point of view of Voldemort's rise to power, the production has introduced a few new characters including a new heroine: Grisha McLaggen. 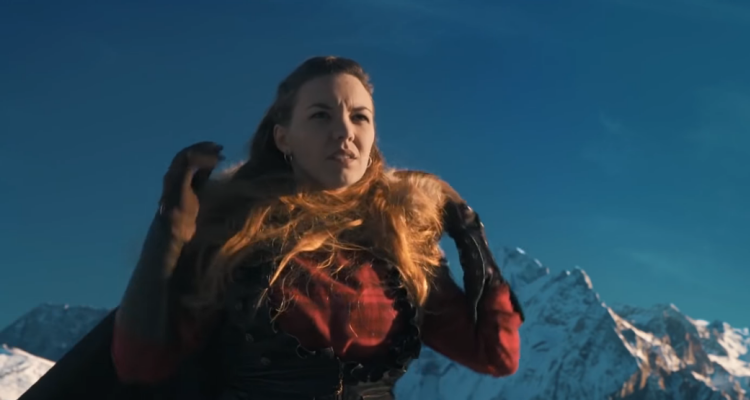 The actress, Maddalena Orcali, provides the voice-over for the trailer detailing that she is the heir of Gryffindor. She shares the last name of Cormac McLaggen, who in the sixth book has quite a thing for Hermione Granger, but is she related to him? How is Grisha McLaggen Jr. tied into the timeline? The book written by J.K. Rowling does not mention Grisha, so she isn't officially canon. Which makes us wonder: is she a Hogwarts student just like Tom Riddle, or is she working for the Ministry of Magic as an Auror? What are her origins to the Gryffindor house? It'd be fascinating to find out her position in this alternative wizarding world. One of the confirmed details about the movie is the murder of Hepzibah Smith. This would be impossible to ignore. We know from the novel that young Mr. Riddle visited Hepzibah several times until the one fateful evening she disclosed her ownership of the Hufflepuff cup and Slytherin Locket. 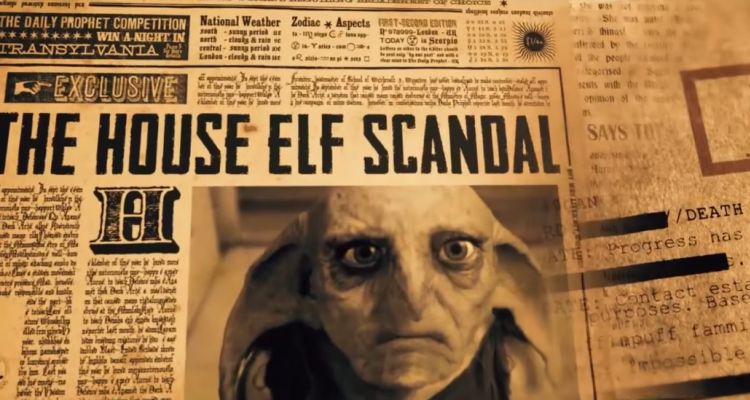 The trailer has also tied in that her house elf Hokey (as named in the book) was pinned for his crimes, supposedly poisoning her owner's cocoa. We'll finally get to see their meeting take place, and how Riddle tries to get away with murder. We'll be seeing a lot of Gellert Grindelwald in the next few years. Johnny Depp will be stepping in as Dumbeldore's love-foe in the Fantastic Beasts and Where To Find Them franchise. Additionally, the Voldemort prequel will be bringing him back too. Locked up in Azkaban prison after hunting down the Deathly Hallows, we assume from the seventh novel that Voldemort hasn't had contact with Grindelwald until trying to track down the Elder wand. Like Grisha McLaggen, these fans have a lot of leeway to set their imagination free. It'll be fun to discover what role Gellert Grindelwald has in this version of Voldemort's origins. One of the biggest scenes missing out of Harry Potter and the Deathly Hallows Part 1 is Kreacher's Tale. While staying at Grimmauld Place, Harry, Ron, and Hermione learn that the Black's house-elf was commanded to join Voldemort at a seaside cave; the same cave where Dumbledore and Harry entered to retrieve the locket Horcrux which ended up being a fake. They were take attacked by Inferius, dead bodies acting on command by Voldemort. 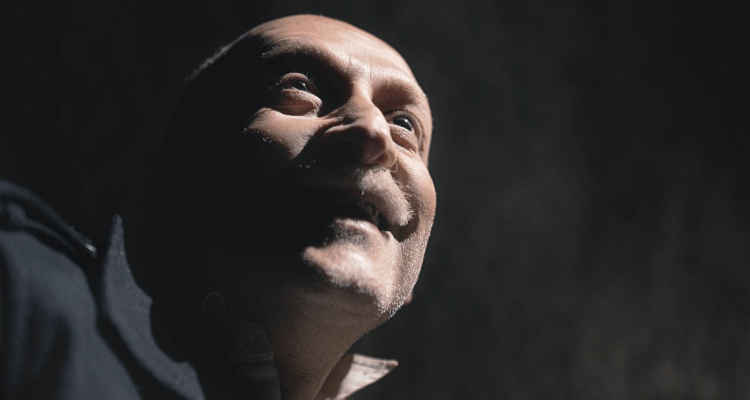 The undead has been cast in Voldemort: Origins of the Heir, so time will tell if we'll finally get to see how Voldemort creates the Inferius to protect this Horcrux. From the memory Harry collected from Professor Slughorn talking about this darkest form of magic with Tom Riddle, we know a little bit of the process on how to make Horcruxes. One must commit murder, split their soul and encase it into an object, and cast a yet-to-be-identified spell. What incantation Tryangle Films conjure to finalize the Horcrux process? 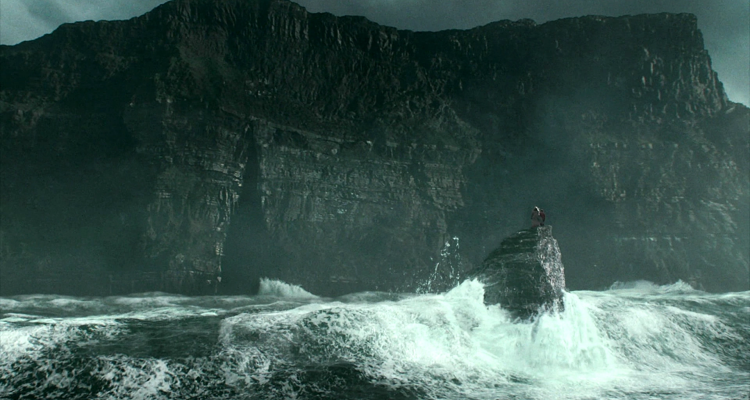 Furthermore, in pre-production photos, objects like Riddle's diary and the ring has been spotted. How many Horcruxes will we be seeing Voldemort make? Splitting his soul is obviously very dangerous and against the act of nature. It'd be exciting to see more of the physical transformation Riddle goes through, especially since the trailer eludes to those evil red eyes!